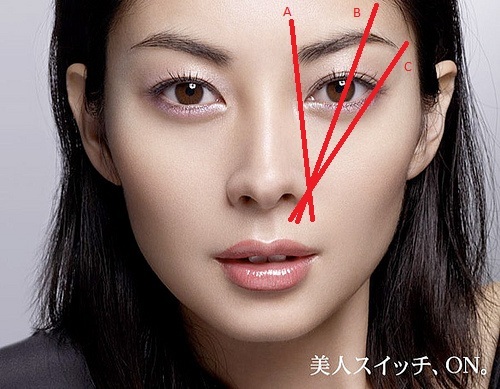 And from what I observe, the tip of the eyeliner is so fine and sharp that Noriko-san glides a thin line over the model's eyelids effortlessly. What made their mascara any special from the rest? Is their specially customized brush, curved made to fit the the shape of our eyes, means easy application and it even enables us to reaches the usual parts we can't like the tear duct corner and the outermost part. Best part about this mascara is when you accidentally smudge it below your eyes during application, don't instantly rub it! You can carry on with your make up (other parts of you face first) whilst waiting for it to dry completely. When it's dry just take a cotton bud to slightly peel off the "error", it comes easily without ruining the rest of your make up. Before ending the day, lookie what we found! 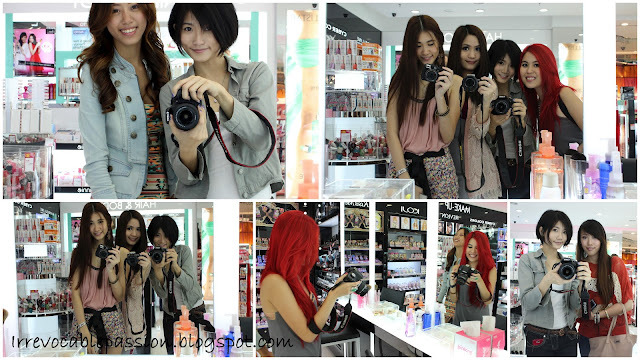 A perfect place to take pictures..in front of Sasa's make up counter lol! Lighting there is good, and you know..girls will be girls :-P Camwhoring time! We were given a goodie bag each and guess what's in it? 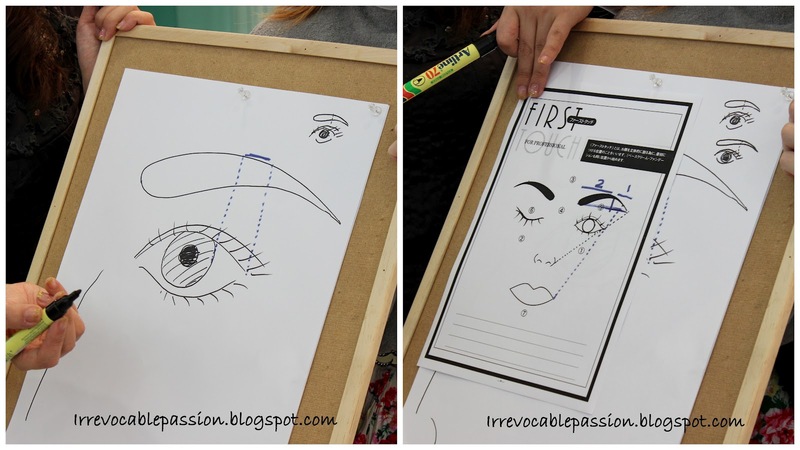 And now to put the eyeliner ( 1st victim ohoho~ ) to the test! Noticed how sharp the tip is? and the color is VERY black too..one stroke that is all it takes to draw a fine black line.No hassle of re-drawing so many times to get the color out. Hehe..what do you think of my little doodle? :-P It looks like a mini tattoo right? Did it out of randomness..while testing it out at the same time. 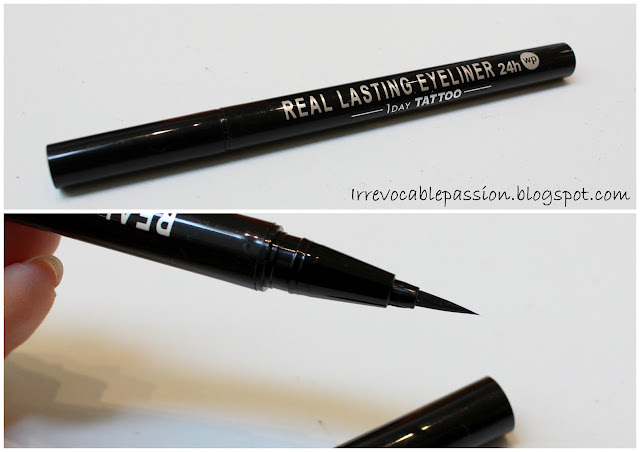 I'm loving the sharp tip because it creates very awesome fine lines without any mistakes and glides very easily on the skin, imagine what you can do with it aside from just drawing the usual plain line over your eyelids. 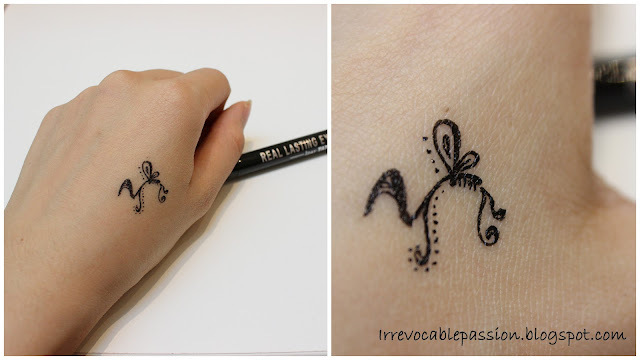 Get creative with this awesome 1 day tattoo eyeliner (will do and example on my next blog post)! :-) so keep a close eye for my next blog post. 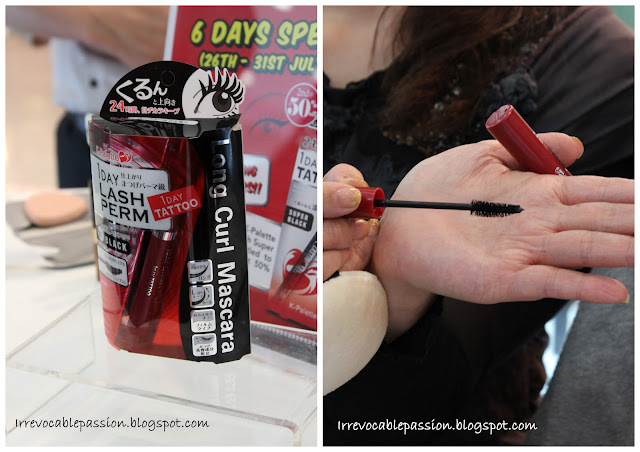 Here is a proof that this eyeliner is INDEED a TATTOO! couldn't rub off the doodle i made earlier and decided to leave it alone and see how long will it last, and guess what? You may vote everyday (one vote every 24 hours), no hassle of registering or whatsoever! woah.really pretty in that photo with noriko.=) teach me how to use eyeliner when v meet again!!! Wow that's and amazing eyeliner~! 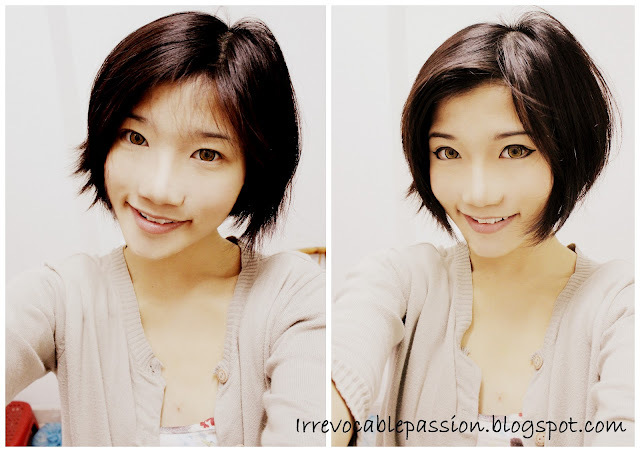 where can you buy this makeup from~?